SumHero is a Malaysian business dedicated to providing seamless on-demand delivery services to the local community. They provide a wide range of hassle-free delivery services with the help of digital transformation technology. SumHero wanted to start on their own digital transformation journey by creating a customized cross-platform solution to offer a wide range of delivery services using local talent. Requirements include integrations with customer-friendly technology like e-wallet and GPS tracking. 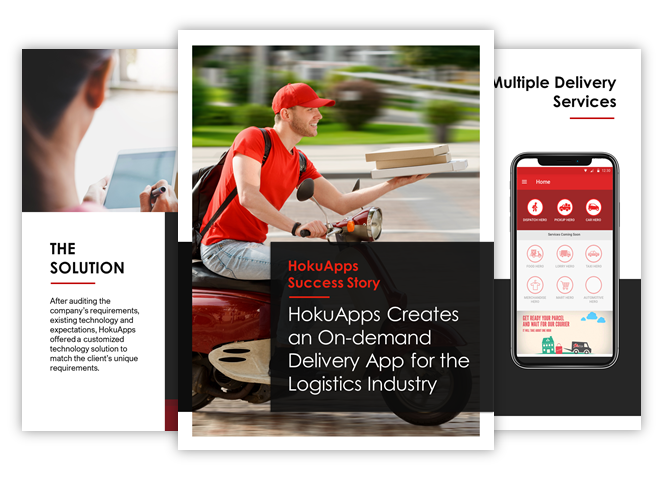 HokuApps create a feature-driven delivery solution which helps the business save time while giving complete decision-making power with on-demand services options and real-time information every step of the way, accessible from anytime-anywhere.